You will find free tutorials for VSL products and other helpful things about orchestral music and samples. Welcome! 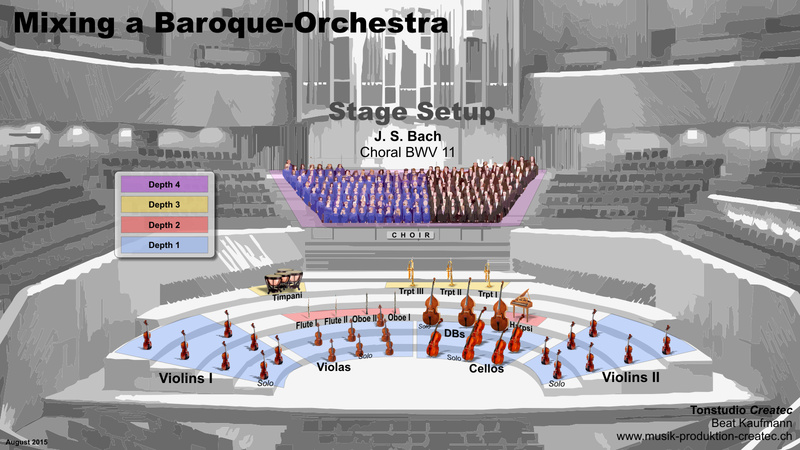 Tutorial "Mixing an Orchestra" News about "Tutorial VSL" Neuigkeiten zum "Tutorial VSL"
Buy/kaufen Tutorial "Mixing an Orchestra"
All those tutorials are about mixing drums, vocals or guitar - but never about mixing orchestras, played with samples. The sale of Tutorial VSL is discontinued with the appearance of the tutorial "Mixing an Orchestra". Probably it will be revised. All chapters related to "Audio-Mixing" will be deleted. Then, the tutorial will be expanded with new material around the new synchronous libraries from VSL. The new tutorial "Using-VSL-Libraries" will show, practice and apply the clever handling of samples in a DAW. The new release is scheduled for end-2019. Der Verkauf von Tutorial VSL ist mit Erscheinen des Tutorials "Mixing an Orchestra" eingestellt worden. Es wird vermutlich überarbeitet. Alle mit "Audio-Mixing" verbundenen Kapitel werden gelöscht. Dann wird das Tutorial mit neuem Material erweiter rund um die neuen synchron-Bibliotheken von VSL. Das neue Tutorial "Using-VSL-Libraries" zeigt, übt und wendet die clevere Handhabung an von Samples in einer DAW. Die Neuerscheinung ist vermutlich Ende 2019.